Join us to celebrate the National Day on Writing at URI! 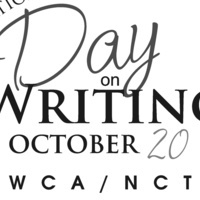 For nearly a decade, National Day on Writing celebrations across the nation have focused on writing as a central part of our everyday lives. This year, Write Across URI, the URI Writing Center, and URI’s Department of Writing and Rhetoric are partnering to provide exciting opportunities for URI students, faculty, staff, and parents to write and to celebrate writing in all its forms. We invite you to participate in, to volunteer for, and to bring your classes to the different events happening across campus throughout the day. We also invite you to share your writing and create a buzz on social media by using the hashtags #uri, #rhodywrite, and #writeforyourlife. Get a passport sheet from any writing station, get stamps from all stations, and submit your stamped passport sheet for a chance to win gift cards from the URI Campus Store!